Transport yourself back to colonial times in this exquisitely written novel. Ms. Frantz had me from the start to the very end. 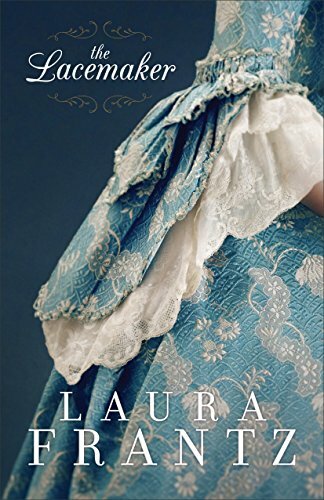 Her descriptions, dialogue, and charming characters (well and some not so charming) easily bring me back in time and allow me to escape the pressures of today and instead immerse myself in the problems that Liberty went through. Family troubles, political troubles, and even man troubles! At first you think the story is going to be about Liberty and her tragically arranged marriage. You see a lot of that in historical novels, because after all it did happen in high society. But then the plot takes a fun twist, and you are soon to dive into one of the best romances ever. Noble. I mean doesn’t the name say it all? Let’s just say that Ms. Frantz has a way of naming her heroes! Noble he is and so much more. I’m sure he’ll be talked about for a long time coming by book reviewers everywhere. Historic readers are sure to fall in love with this book instantly, and will find themselves flying through the book to get to the ending they’ve been hoping for! I received a complimentary copy of this book. I was not required to write a favorable review. All thoughts and opinions are my own. Great review! I love this book so much. Definitely another excellent story from Laura!!! Laura Frantz is my favorite author. I read her books as rewards. There, I said it.